A Welsh outdoor activity student is scaling new heights to celebrate her 30th birthday and raise money for charity at the same time. Rather than throwing a party, Coleg Gwent student Kyleigh Hill will complete one challenge for every year of her life so far, raising £4,000 for The Welsh Guards Afghanistan Appeal, Wales Air Ambulance, Severn Area Rescue Association and the Victoria Cross Trust. Kyleigh’s challenges began on her birthday, when she started her task to climb all 24 of the Brecon Beacons — just one of her thirty quests which also include navigating the Wales coastal path, a skydive and a fire walk. She added: “I’ve chosen a few things well within my capabilities, along with many more that will test me and require willpower and training for. 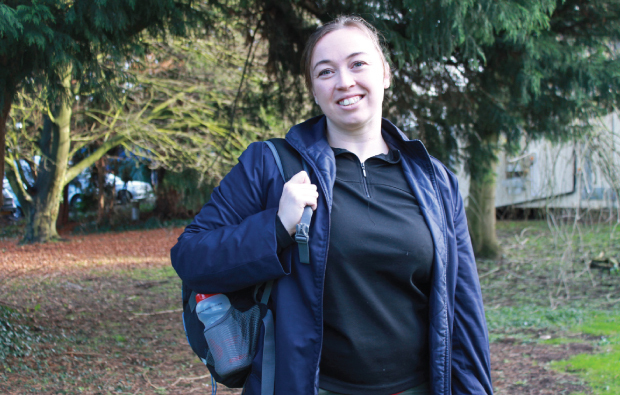 Kyleigh, from Ebbw Vale, hopes to become an outdoor activity instructor and work to rehabilitate injured service personnel. Visit uk.virginmoneygiving.com/30-4-30 to sponsor Kyleigh.